The Basketball Spotlight Tip Off Classic 6th Grade Division gave us a look into the future. 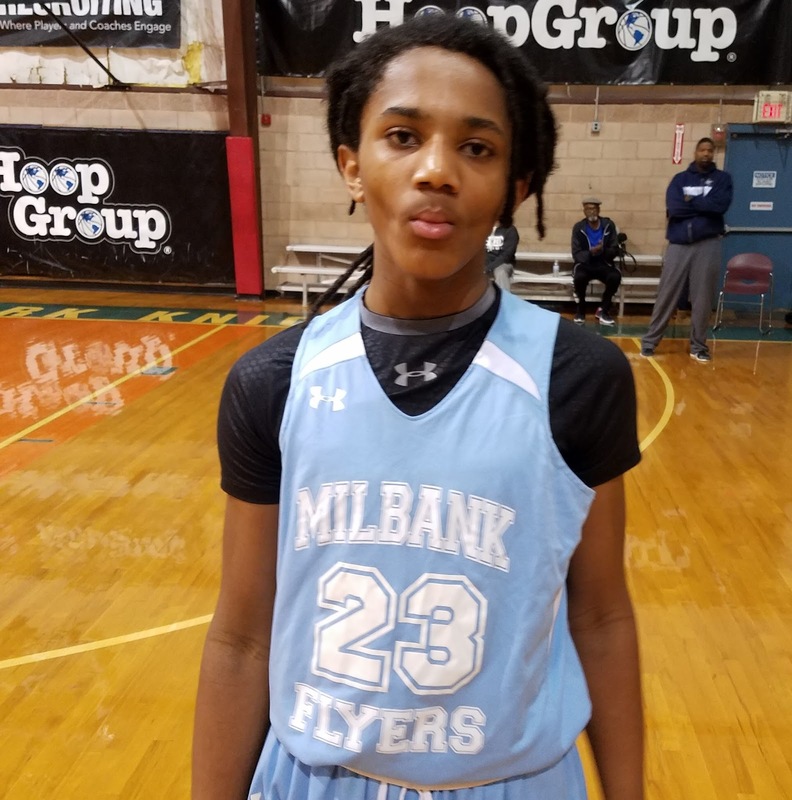 Here’s Part 3 of our Top Performers from our weekend in Neptune. 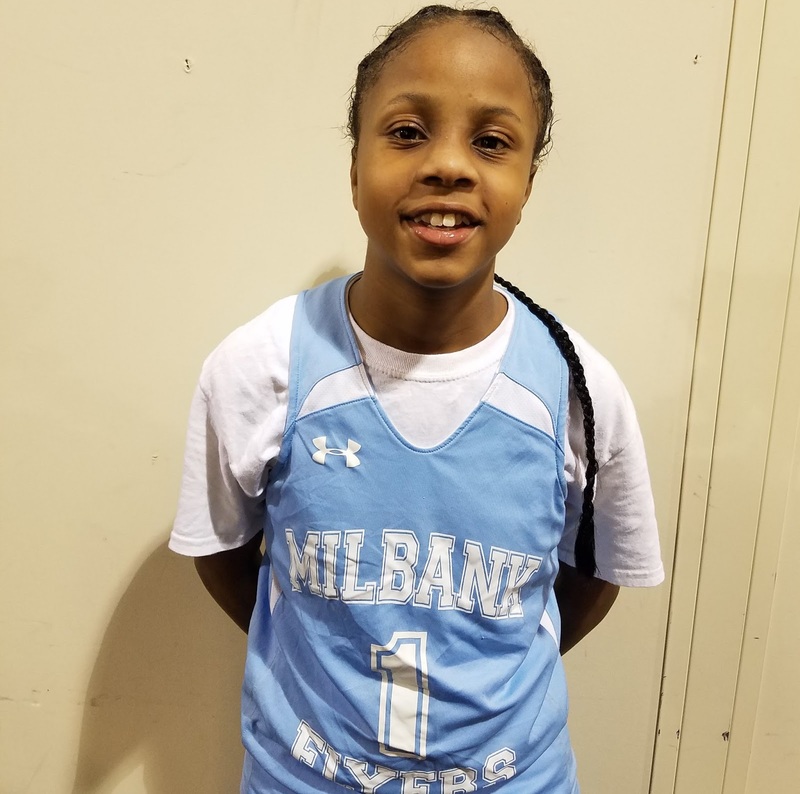 Chardonnay Hartley Guard (Milbank) – Probably the surprise of the 6th grade division Chardonnay was a floor general with moxie. She was ultra-completive with a refuse to lose attitude. Hartley has a nice 3 point stroke and did a good job attacking the basket. She understands how to drive and kick and we saw her bring home the win in a pool game against Elmcor knocking down clutch free throws in OT with no time left on the clock. She finished with 11 points in that contest. 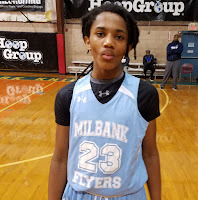 Ahmir Moore Forward (Milbank) – Ahmir is a do it all wing that can handle the ball, pass it, and score it. He is at his best attacking the rim in transition or the half court but he can knock down the open jumper also. He does a good job rebounding his position and starting the break himself. We saw him make a nice one handed three quarter court pass off the dribble for an assist. He scored double digits in both games we watched. 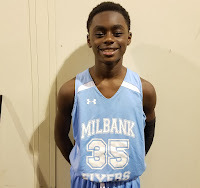 Imeru McManus Forward (Milbank) – Imeru is the presence in the middle for his Milbank team. He runs the floor hard so he can get in early low block position so he can either receive the post entry pass or be in position for a rebound put back. On defense McManus is a shot blocker and tough defensive rebounder. 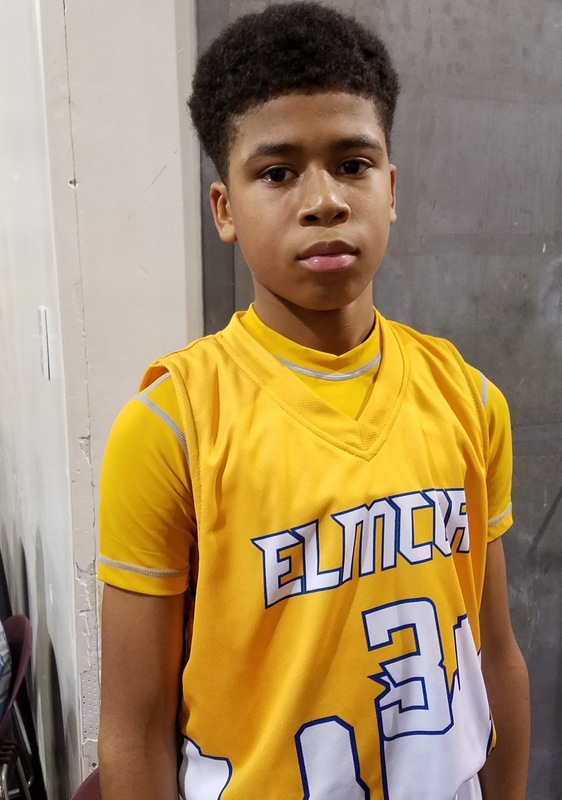 He tallied 16 points against Philly Triple Threat and 13 points against Elmcor. Dwayne Pennicooke Forward (Elmcor Basketball) – Dwayne is a physical, aggressive forward that is very productive on the glass. He does a great job getting weak side offensive rebounds and putting them back up for 2 points. He has a nice free throw stroke as he gets fouled a lot. We also like his presence on the defensive end of the floor as he can guard all three frontcourt positions. He had 13 points against the Gauchos and 12 points against Milbank. 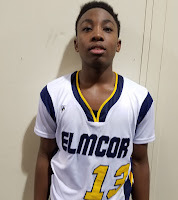 Bryce Simmons Guard (Elmcor Basketball) – Simmons has nice size for a wing guard which allowed him to get his shot off over smaller guards. He is his team’s 3 point shooter and he had a very nice stroke from long range and from the free throw line. Although he relies more on his nice jump shot we saw him attack the basket in transition off of a nice steal. 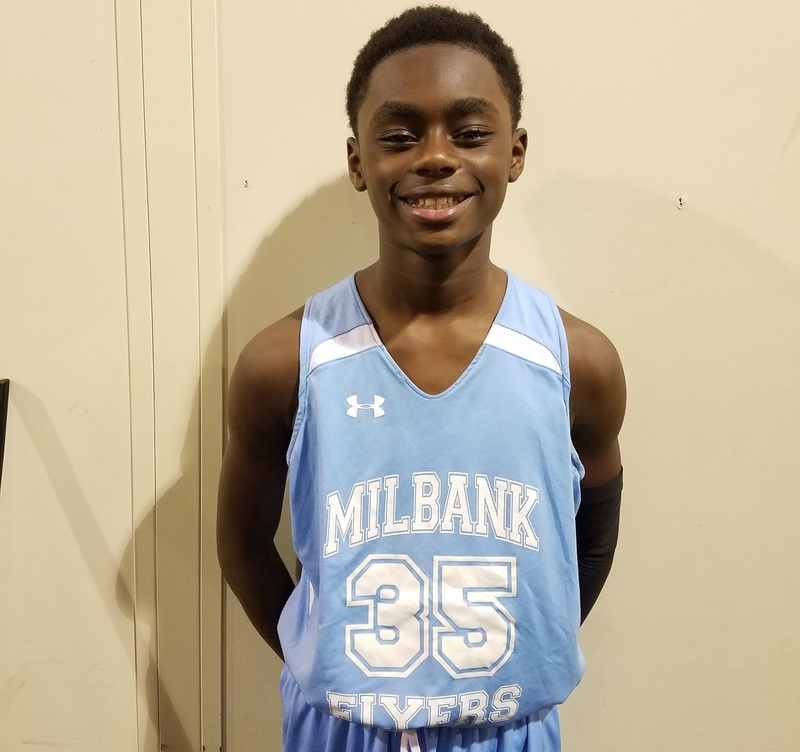 He had 9 points against Milbank. 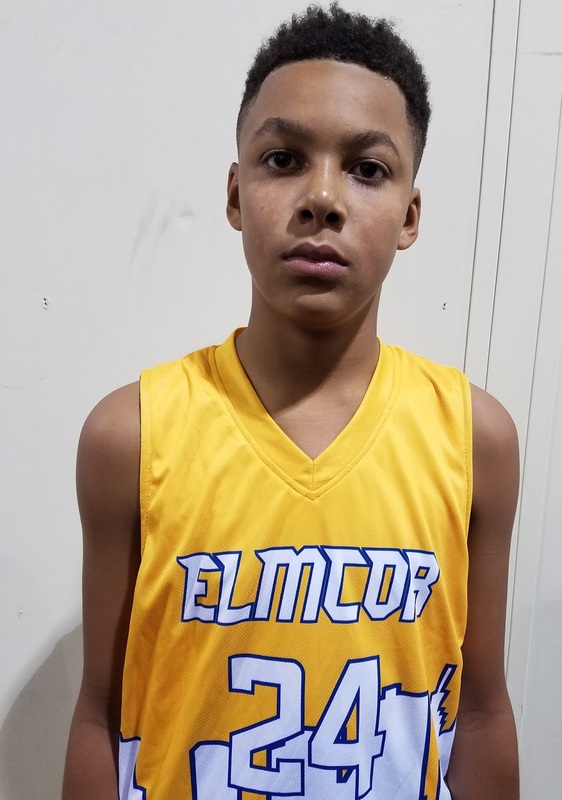 Trey Robinson Forward (Elmcor Basketball) – Trey is a nice size big man for the 6th grade. He still looks like his game is developing into his body but we feel if he keeps working he will be a good prospect to keep an eye on. He doesn’t try to do too much and plays to his strengths rebounding and finishing around the basket.